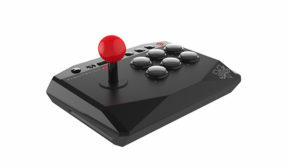 If you are in the market for a high-end arcade stick, then you may want to consider this recent sale from online electronics retailer Newegg. At the moment, the price has been lowered on the Mad Catz SFV Arcade FightStick Tournament Edition S+ compatible with the PS4, PS3, and PC. 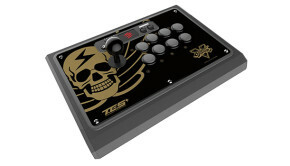 This Fightstick, retailing @ 119.99 after you use promo code EMCPSRE37, features a vewlix style case with genuine Sanwa Denshi parts and a 3-way button option that will allow you emulate the left and right analog sticks of the Playstation controllers. Input lag tests for this stick can be found here if you are interested in more in-depth details about this stick before purchase. There is no telling how long this deal will last so do not wait too long if you have an interest in purchasing this stick. Head to newegg.com for additional details and purchasing information.